This month we have a rare special. 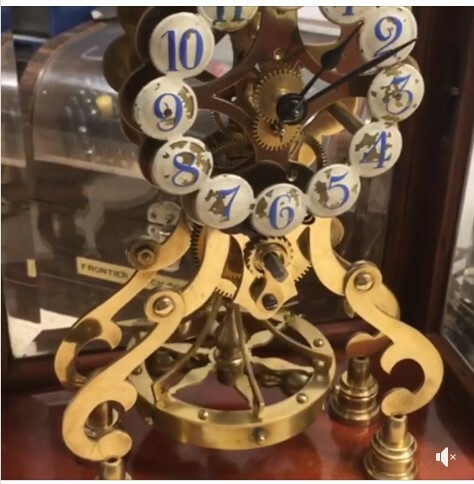 This beautiful Gustav Becker 400 day skeleton clock was produced around the 1920’s. What makes this clock so special is that it is a rare skeletonised design, whereas they are usually designed with normal disc pendulums. until Tuesday the 8th of January 2019.